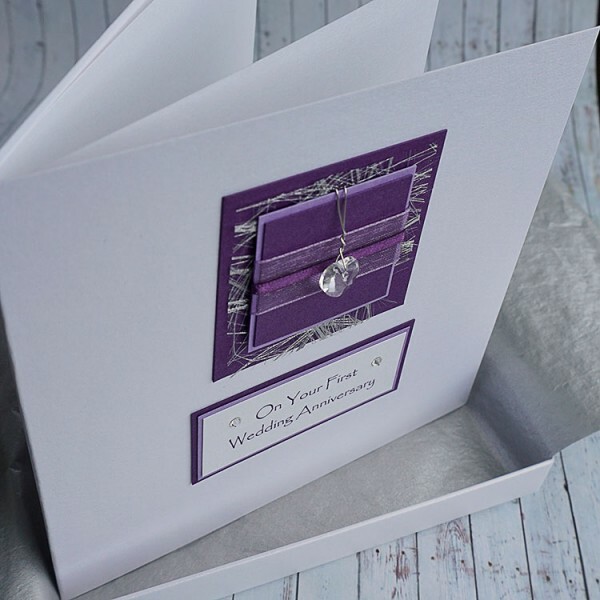 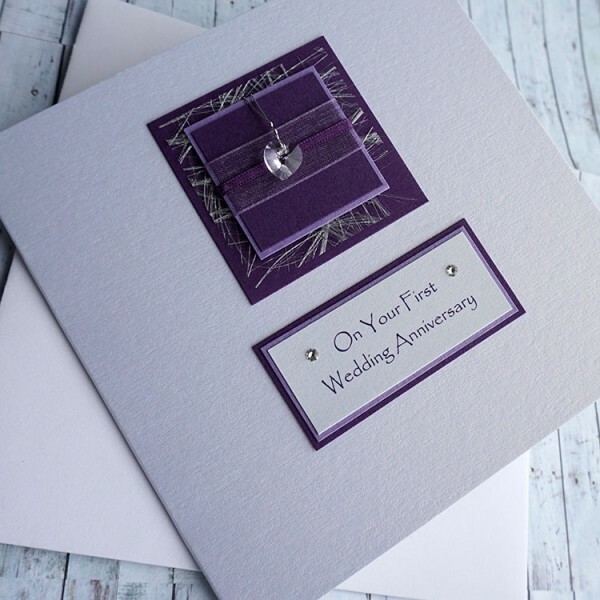 Handmade Wedding Anniversary Card "Purple Sparkle"
Personalised anniversary card for wife, husband, son, daughter, mum & dad; a beautiful card with a Swarovski crystal heart pendant wired onto a lovely selection of pearlescent cards, silver angel hair paper and organza ribbon. 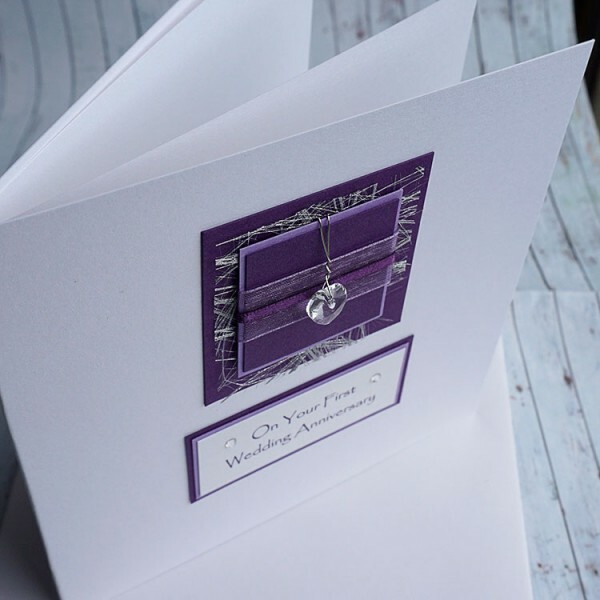 Embellished with Swarovski crystal diamontes. Created on lovely white pearlescent card with a matching blank pearlescent insert. 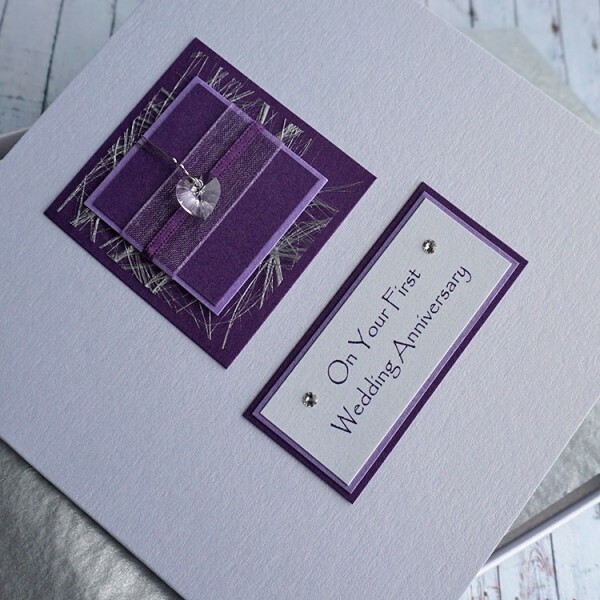 The insert can also be personalised if you wish - please enter the details when you place your order. 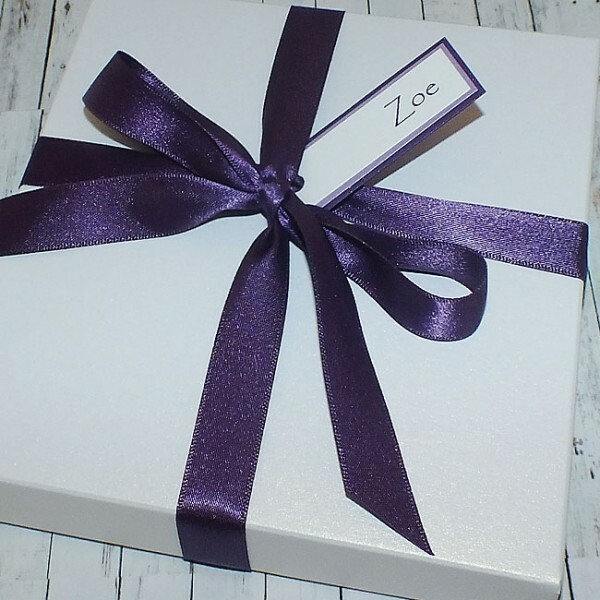 Supplied with a white envelope or with a smooth matt white box / matching pearlescent white box, lined with tissue paper and wrapped with a satin ribbon.